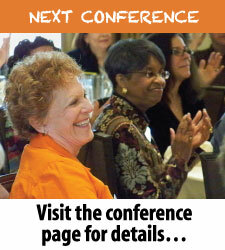 CCNews, the newsletter of the California Council on Teacher Education, is published quarterly on the CCTE website. The current issue of CCNews is available here. Issues are scheduled for publication on or about March 1 (Spring issue), June 1 (Summer issue), September 1 (Fall issue) and December 1 (Winter issue) each year, and the deadline for submitting material for consideration is always the 15th of the month previous to the publication date. When each issue is posted to the CCTE website, the previous issue moves to the archive. 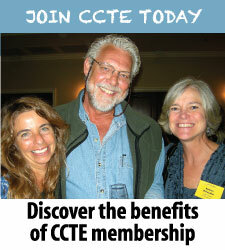 The posting of each new issue is announced to the CCTE membership via an e-mail message. CCNews is currently published in four sections. The first section includes the CCTE President’s message, other news reports, and CCTE policy announcements; the second section provides a preview of upcoming CCTE semi-annual conferences as well as reports on past conferences; the third section focuses on other current activities of the organization; and the fourth section features articles, interviews, and commentary, with special attention to promising practices in the field of teacher education. 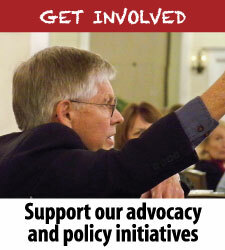 You may have noticed an evolving difference in recent issues of CCNews. We are seeking to include best practices, resources, accomplishments, and even commentary and editorial/letters to the membership. The goal of these additions is to create a forum for CCTE members to share information and celebrate our successes. Do you have a successful partnership with another university, parents, teachers, or a K-12 school you would like to share about? Have you discovered an effective assignment that your students enjoy, and that you think other teacher educators might like to know about and try? Are there books, curricula, or other resources you or your program uses with great success? Maybe you have opinions or information you would like to voice. If you would like to share your passion and ideas with others, please take a few minutes to type up a brief article to submit to CCNews. Teacher educators are important people and we are even more effective when we work together, so please submit your ideas and promising practices, so that we can share them with others in CCTE. Email all submissions to the CCNews Editor.